Update 11/5/2014: This article has been updated to reflect a statement released Wednesday morning from the No on D campaign. 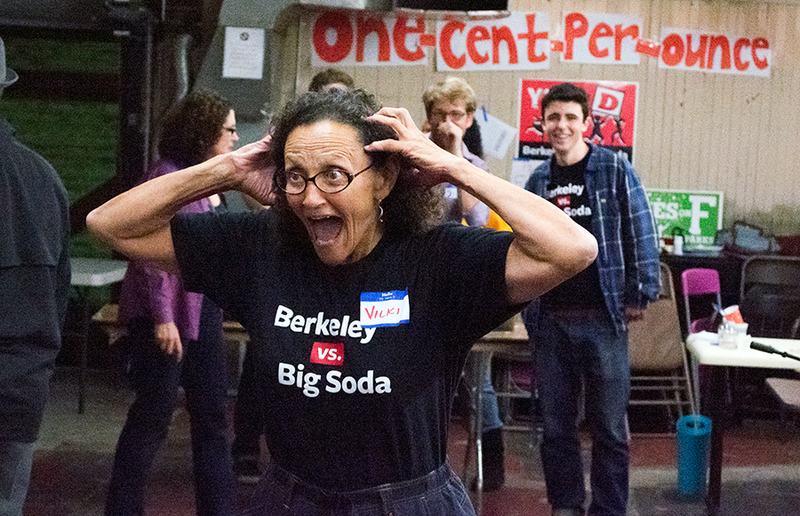 On Tuesday night, impassioned chants and cheers of “Berkeley, Yes — Soda, No” resonated through the headquarters of Berkeley’s Yes on D campaign as votes trickled in. As of press time with all precincts reporting, about 75 percent of Berkeley citizens were tabulated in support of the tax of 1 cent per ounce on the distributors of sugary drinks, with about 25 percent opposed. Members of Yes on D said the tax will reduce consumption of sugary drinks among children, which they argue is largely responsible for rising obesity rates and related diseases such as diabetes. Opponents of the tax, however, felt that there were other policy alternatives to addressing these health issues and funding programs. Richmond citizens voted down a sugary-drink tax measure in 2012, and San Francisco voters failed to pass a similar measure Tuesday night. 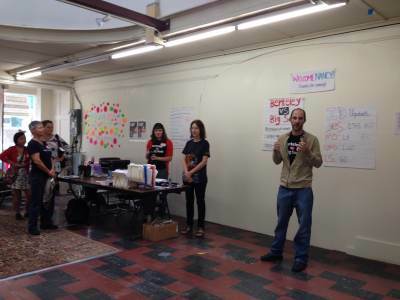 Their measure — which, unlike Berkeley’s measure, needed a two-thirds majority vote — stipulated that any funds raised by the tax are earmarked for health education programs. In Berkeley, a simple majority was needed to pass the tax, whose revenue will enter into the general fund and be distributed at the city’s discretion. In addition, the ordinance establishes a panel of experts that will advise City Council on how to distribute the tax revenue and support programs in reducing sugary-drink consumptions. 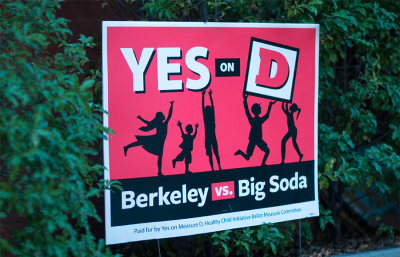 Opponents of Measure D raised more than $1.4 million for the No on D campaign in Berkeley, with significant contributions from the political arm of the American Beverage Association, a beverage trade organization whose members include Coca-Cola and PepsiCo. Supporters were financially outnumbered by the soda industry, though the Yes on D campaign attracted hefty contributions from former New York City mayor Michael Bloomberg, who donated more than $350,000. In August, the battle over the “soda tax” entered the court system when two Berkeley residents opposing the measure filed a petition against the city over portions of the ballot’s language, some of which the judge ruled to change. 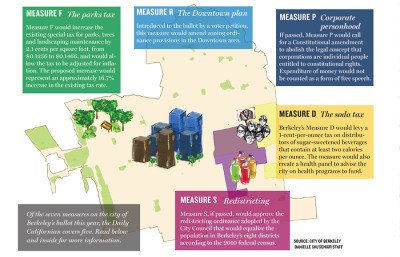 Mayor Tom Bates, who supported the tax throughout the campaign, explained that the next step is for City Council to work with the Berkeley community in deciding exactly how to best spend the revenue on health programs.